Should you have some additional information about these pictures and be willing to share them, please contact me by e-mail. 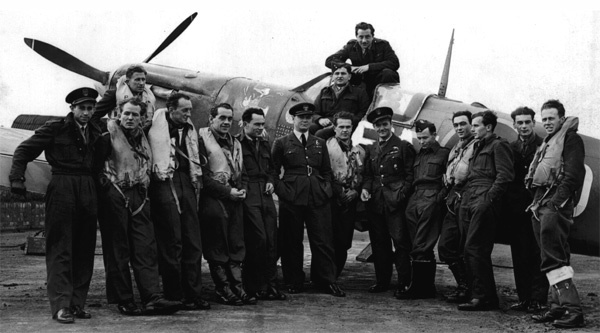 The squadron during the Battle of Britain, or shortly after (from left): J. Radomski; unknown; J. Zumbach; B. Grzeszczak; T. Sawicz; W. Lokuciewski; B. Mierzwa; Z. Henneberg; J. Kent; E. Szaposznikow; M. Pisarek; M. Wojciechowski; M. Feric; M. Belc; S. Karubin; unknown, unknown, S. Brzeski; J. Daszewski; K. Wünsche; J. Kania and J. Rogowski. 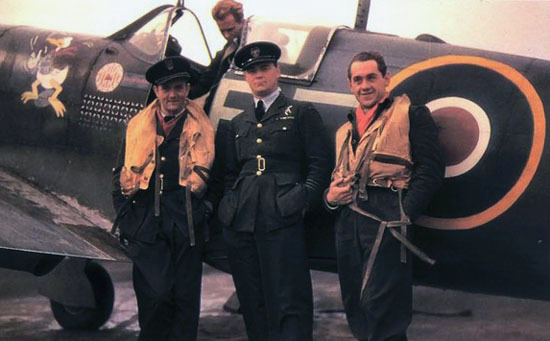 Left: The 303 pilots in readiness. 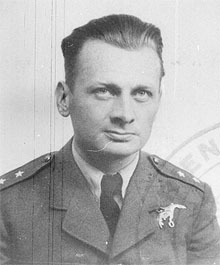 In a center is Zdzislaw Henneberg. On his left Kazimierz Dzaszewski. Both killed in action later on. Right: The unit's Intelligence Officer F/O J. Gejsztowt. 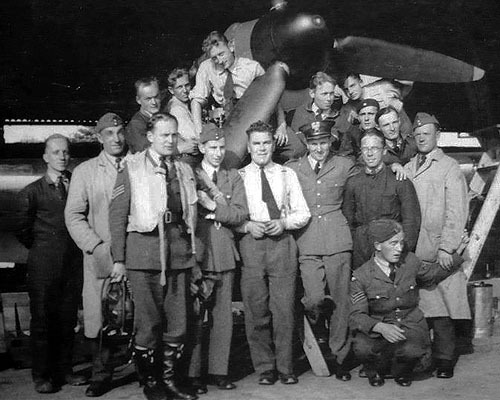 After another successful sortie: Feric (left), Kent, Grzeszczak, Radomski, Zumbach, Lokuciewski, Mierzwa (partially visible), Henneberg, Rogowski and Szaposznikow. Left: P/O Henneberg (left), S/Ldr Kent and P/O Pisarek. 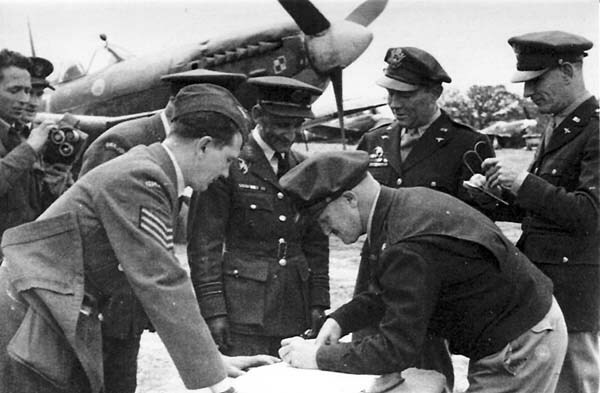 Right: King George VI visited the unit during the Battle of Britain on September 26. Just left of him, partly visible is S/Ldr Urbanowicz, who took over after S/Ldr Krasnodebski was wounded. Presenting pilots is S/Ldr Kellet. King shakes hand with P/O Feric, who oh his right has P/O Zumbach, F/O Cebrzynski and F/O Januszewicz. 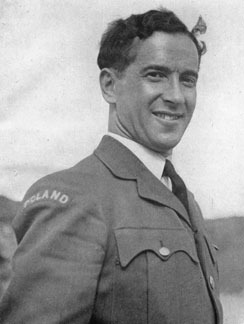 Late September 1940. 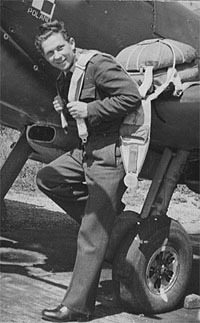 Sgt Andruszkow (with flying gear) posing with a group of ground personnel. 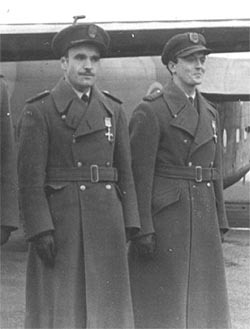 Left: The first CO, S/Ldr Krasnodebski. 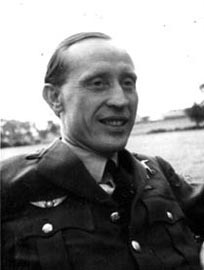 Center: The ace: Witold Urbanowicz in 1944. 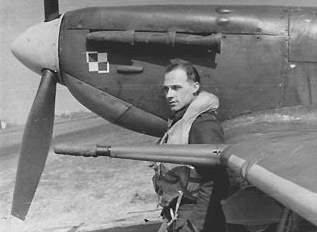 Right: Sgt Szaposznikow. 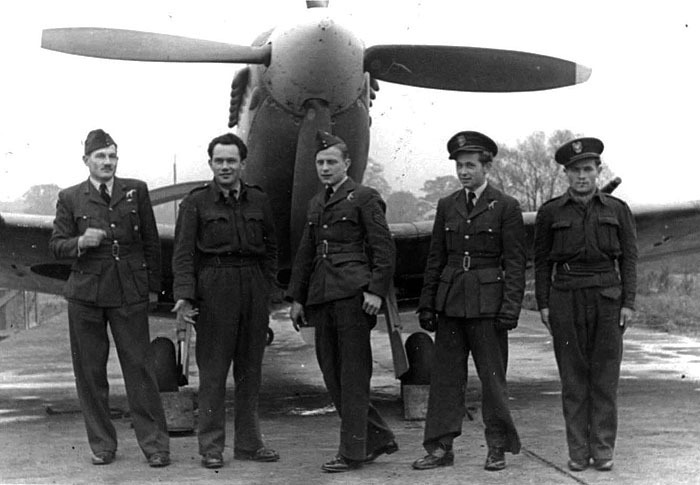 Group of the 303 ground crew at Lenconsfield. 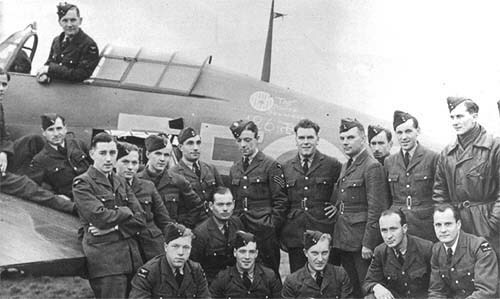 Notice the 126 number chalked on the fuselage and under the badge, the unit's tally during the Battle of Britain. 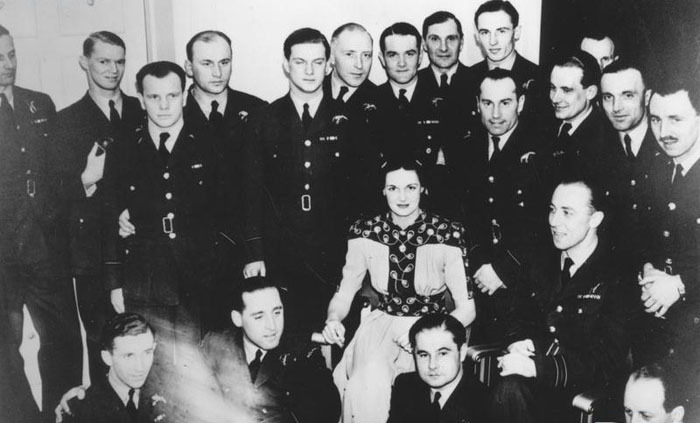 Mrs. R. Smith-Bingham, the squadron's Mother, during her visit on February 17.1941. Left: P/O Paszkiewicz, who scored the first victory for the 303. 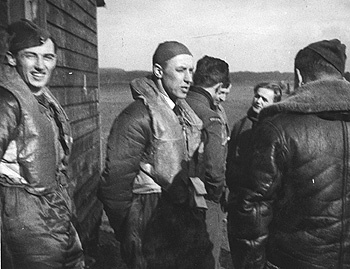 Center: F/Lt Zak and P/O Gladych Right: Sgt Popek, who later flew with the Skalski's Circus. 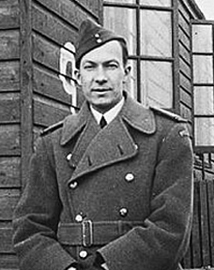 Left: S/Ldr Zumbach in May 1942. Right: F/Sgt Giermer. 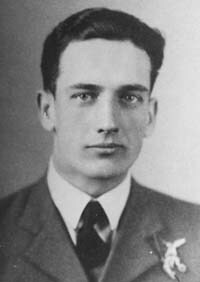 He later became very successful flight instructor in OTUs. 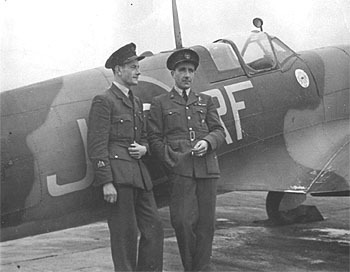 S/Ldr Jan Zumbach (left), W/Cdr Stefan Witorzenc and F/Lt Zygmunt Bienkowski. 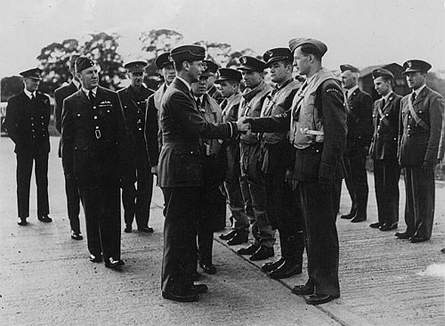 Left: 1 September 1942, the Squadron Day. Kirton-in-Lindsey. 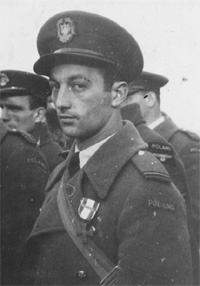 F/O Majewski decorated with Cross of Valour by resident Raczkiewicz. 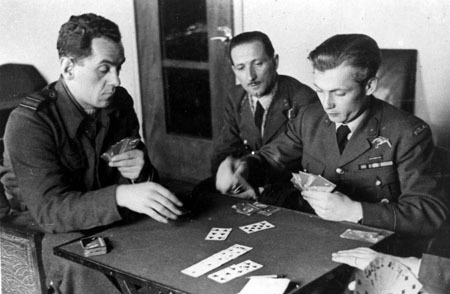 On his right is F/O Marciniak, with F/O Glowacki on his left. 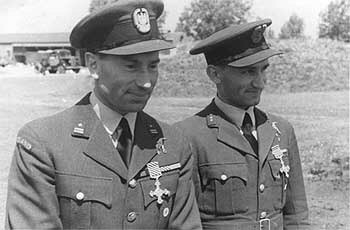 Right: S/Ldr Kolaczkowski and F/Lt Koc. Both commanded the 303. 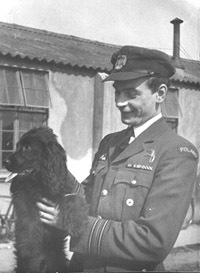 Left: S/Ldr Drobinski in 1945. 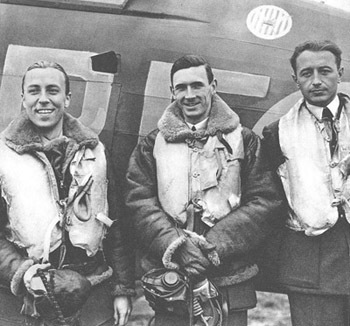 Center: P/O Sawicz in 1941. 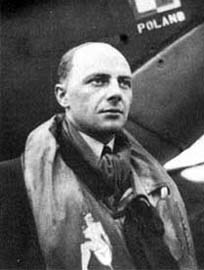 Toward the end of the war he commanded 131 Polish Wing.Right: P/O Juszczak, lost during a training flight in August 1941. 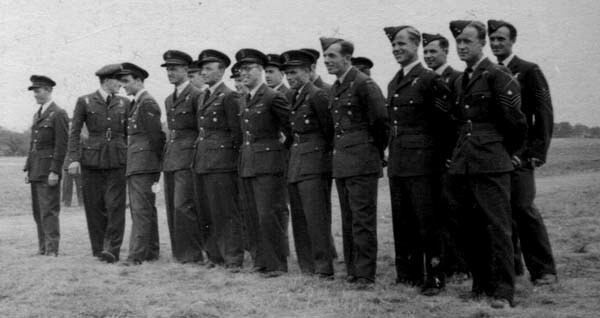 RAF Northolt May 19, 1942. S/Ldr Zumbach tookes over the command. 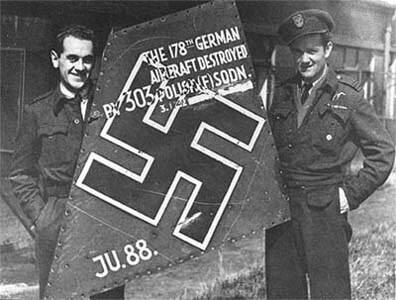 F/Lt Bienkowski and S/Ldr Zumbach present the unit's trophy, part of the Ju88. F/Lt Bienkowski, F/Lt Ciastula and P/O Wunsche. 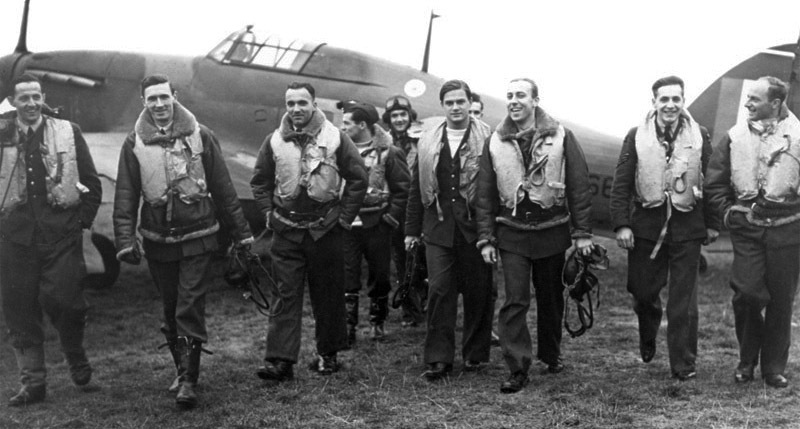 Publicity photo of the 303 pilots: P/O Mroczyk (left), Sgt Rokitnicki, F/Lt Bienkowski, Sgt Gorecki, F/O Drobinski, S/Ldr Zumbach, P/O Kolecki, F/O Zarebski and Sgt Szymkowiak. 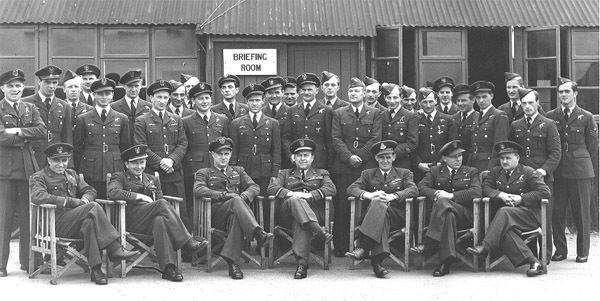 Northolt, fall 1943. From left: F/O Jenik, F/O Majewski, P/O Bartkowiak, F/Sgt Gorzenski, ?. F/O Swietlikowski, F/O Szaposznikow, F/Lt Proktor (503), F/O Franckiewicz, F/O Marszalek, F/Sgt Zygarlicki, F/Sgt Bieniek, F/Sgt Polilejko, F/Sgt Sadowski and F/Sgt Lopuszynski. 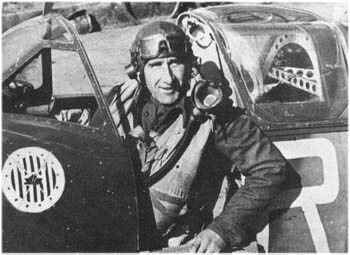 On left, W/O Chudek (KIA June 1944) and S/Ldr Jan Falkowski, who sits in a cockpit on the right photo. 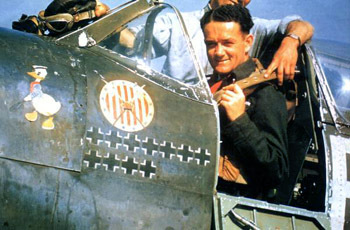 3 June 1944. 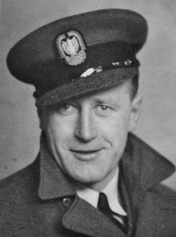 RAF Horne. 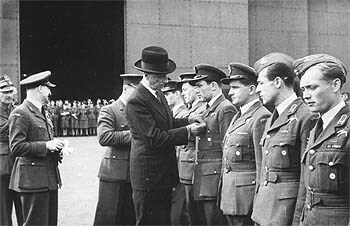 The ceremony of presentation of the 303 badge to General Strahen, Major Cummings and Captain Chess. This three American officers served in 1919 in Polish no. 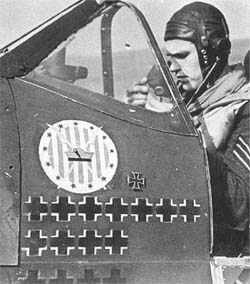 7 "Kosciuszko" Squadron, from which the 303 derived. 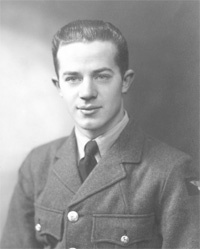 Hethel, February 1946. 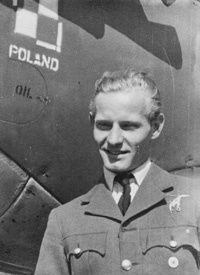 CO change: Boleslaw Drobinski being replace by Witold Lokuciewski. 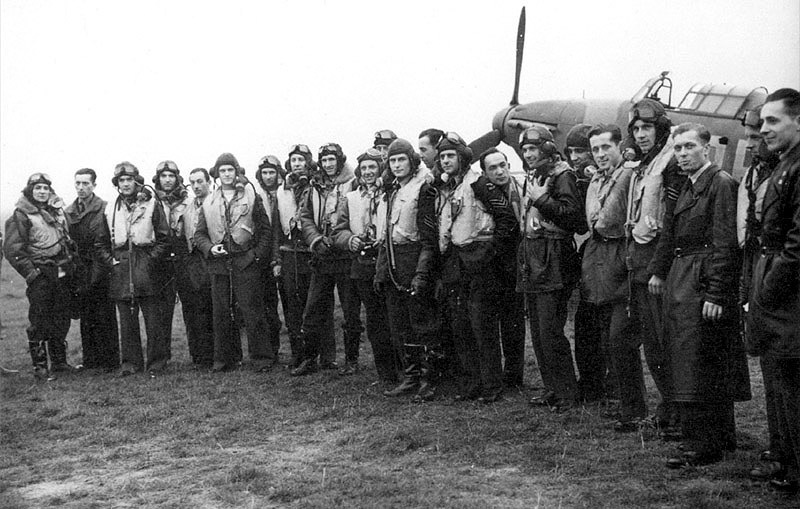 Sitting, from left to right: W/O Sznapka, F/O Runc, F/O Haczkiewicz, F/Lt Budzik, S/Ldr Drobinski, S/Ldr Lokuciewski, F/Lt Zdanowski, F/Lt Maksymowicz and W/O Skrzydlo. Second row: Sgt Knobelsdorf, Sgt Golowanczuk, F/Sgt R. Falkowski, Sgt Bachmatiuk, F/O Zborowski, F/O Martens, F/O Gorecki, F/Lt Jasinski, F/Sgt Zablocki, W/O Kukuc and F/O Kryptowski. Third row: F/Sgt Zubiel, W/O Lubienski, W/O Janicki, W/O Bartkowiak, F/O Krok, F/O Broniecki and Cpl Wegrzecki. 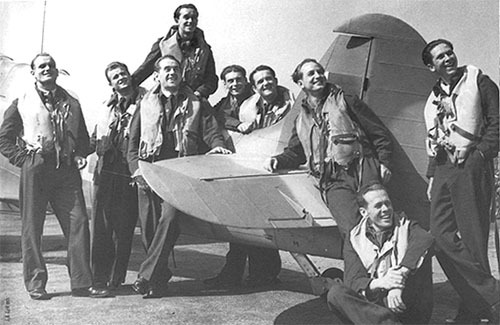 The last photo of the 303 flying personnel with prominent figures of the PAF. Sitting from left are: ?, G/Cpt Bajan, S/Ldr Lokuciewski (CO), Gen Izycki, W/Cdr R.T. Tuck, W/Cdr J. Kowalski, and S/Ldr Lapka.